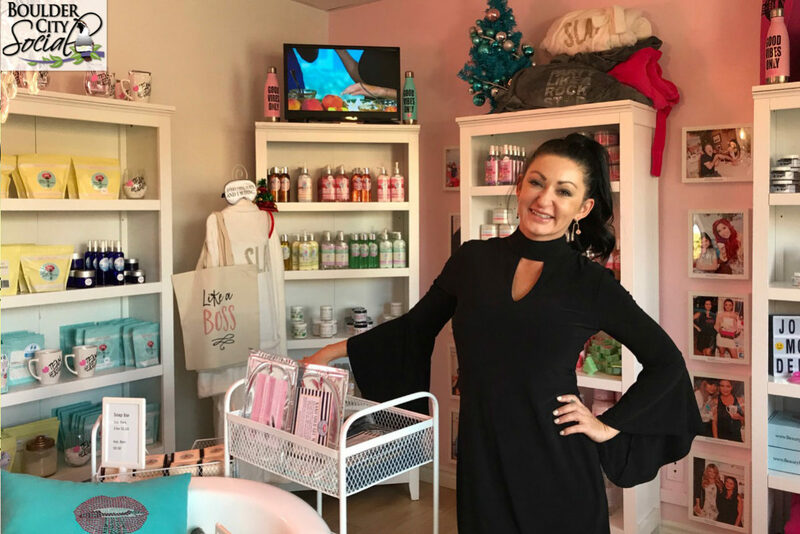 If you haven’t stopped by The Beauty Kitchen Boutique here in town – you’re missing out! Heather started her own line of products, and manufactures them here in town too, housing them in two warehouses over on Industrial Road. Her message resonated with women everywhere. But not only for us common gals, some celebrities in Hollywood took notice of her message too – and soon everything just took off! Heather’s Beauty Kitchen products are now a part of the many celebrity ‘goodie bags’ they give out after the Oscars, Emmy’s and other major Hollywood events. And if you don’t know – that kind of exposure is something that companies usually have to spend BIG BUCKS to get to be a part of. But Heather’s products grew by word of mouth – in other words – they’re good stuff! PS – She’s got a very special event coming Saturday, December 15th (12-4pm) where she welcomes the CEO of Sugar Me Life, Vanessa Simmons! It’s a great product line also featured at Beauty Kitchen Boutique.